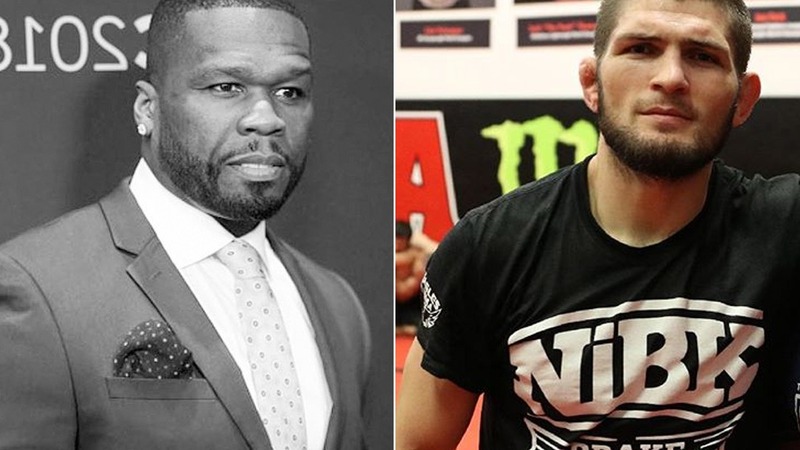 On late Friday evening, 50 cents posted a message on Twitter saying the way Dana White and the UFC are treating Khabib Nurmagomedov is unfair, so he’s offering undefeated Russian grappler Khabib Nurmagomeodv $2 million to fight in his MMA Bellator company. After the UFC 229 post-fight brawl that ensued the riots inside and outside the Octagon, Dana White-sided Conor Mcgregor and treated Khabib like garbage and said those fighters who were part of melee would no longer compete in UFC. 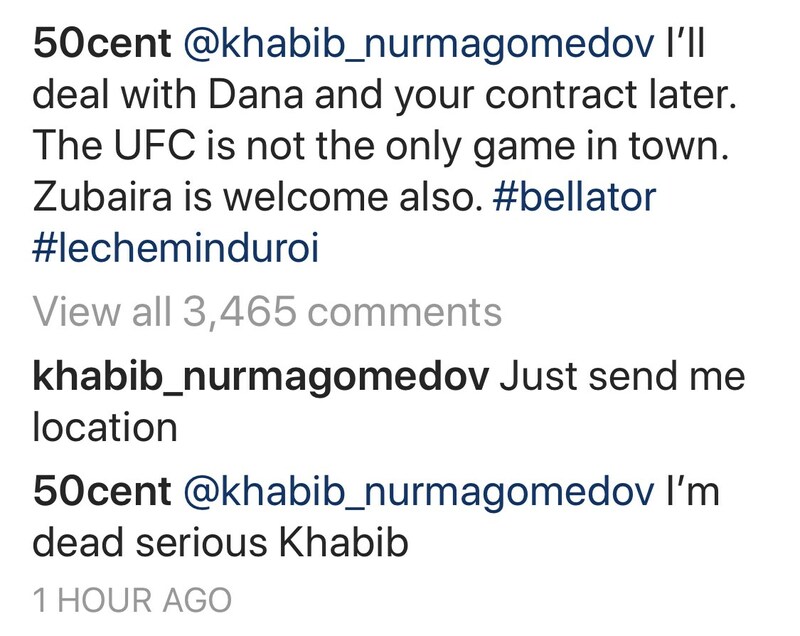 Yesterday Khabib threatened to rip UFC contract if promotion fires his teammate Tukhugov. What do you think of this offer from 50 cents? Previous articleRyan Bader Destroys Matt Mitrione And Advances To Heavyweight Grand Prix Final! Next articleSergei Kharitonov Successfully Defeats Roy Nelson Via First-Round KO!